Welcome to Portland, Oregon, 2059. It’s been a year since the Cascadia subduction zone earthquake wreaked havoc with the city and devastated the Oregon coast. Meryem Einhorn Zarfati is still struggling to put her life back together and find her mother when a time-traveler insists that Meryem must save Izabel, a young girl enslaved in sixteenth century Istanbul. Freeing Izabel is not enough. She needs a home. Izabel thinks Meryem is magical, thanks to Meryem’s use of the Internet. But what works in Izabel’s world can’t help the destitute father and daughter living in a van in Meryem’s neighborhood. 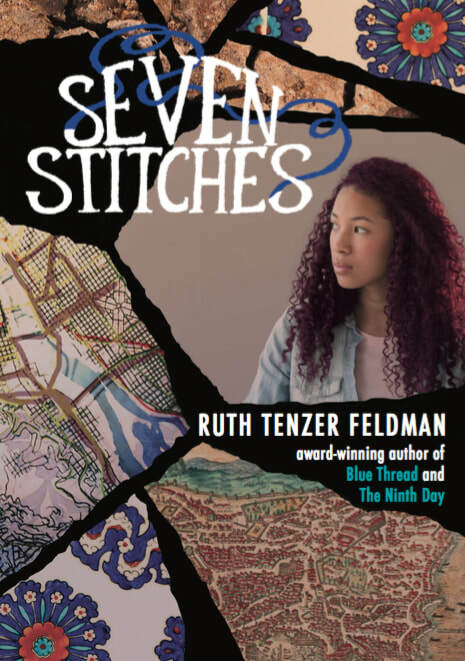 A story of hope, loss, and resilience, Seven Stitches joins The Ninth Day and Blue Thread in the Blue Thread Saga. "The story weaves together racial issues, homelessness, slavery, personal loss, the ethics of government intervention, adoption and much more along the time and space continuum through the saying on the tallit, Zedek Zedek tirdof, Justice, Justice you shall pursue."